We love teriyaki sauce in our house. It pairs well with chicken, burgers, pork, veggies, seafood…anything. When I don’t have time to pick up more at the store, I make it at home pretty easily in about 15 minutes. There are many times when I am looking for the teriyaki sauce in the pantry and it has disappeared. The culprit is typically my oldest son who puts it on everything like most other kids use ketchup or ranch dressing. I guess I can’t complain, he could have worse habits. This recipe makes 2 1/2 cups which is about the same amount you would get in a bottle. 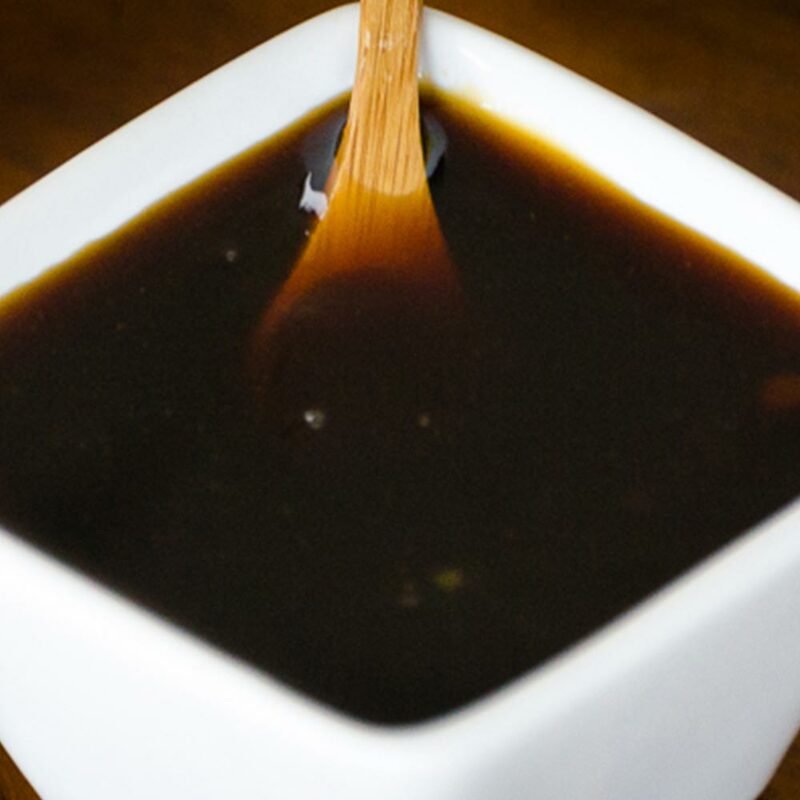 Let me know how you use your homemade teriyaki sauce in the comments below or snap a pic and share on social media. Want to try out your new teriyaki sauce? Check out this teriyaki chicken burger recipe. The flavor is amazing and you will find yourself using it for everything from chicken nuggets to vegetables. In a medium-size pot over medium heat, combine the soy sauce, water, brown sugar, pineapple juice, onion powder, garlic powder, and vinegar. Heat until the sugar is completely dissolved. For a thicker, basting sauce, remove half a cup of teriyaki sauce and place in a small bowl. Once the cornstarch is completely dissolved in the soy sauce, add the mixture back into the pot and continue cooking an additional 5 minutes, stirring occasionally. If you find you don’t have the rice vinegar or the pineapple juice it is okay to omit them or find a decent substitute.